“Ignorance is bliss” is a saying that many adopt to avoid confrontation. When investing in a major purchase, such as buying a home, this motto will hurt you more than it will save you. 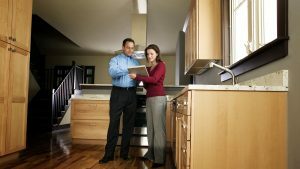 Having the most information possible is key when buying or selling a home. This is why having an experienced and loyal real estate agent is crucial. The right agent will keep you in the loop during each step of the process. 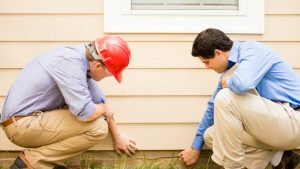 A major step in the process is the home inspection. The home inspection may result in the seller having to fix what needs fixing before you buy the home or it could mean that you find issues that make you decide not to buy. This step can be the make or break of the sale. Surely it’s important to have the best inspector possible (hopefully your real estate agent has a list of the best!). Your inspector will likely climb all over the home and thoroughly investigate the property. Any problems related to water entry, roof leaks, insect infestation, unsafe wiring, failed septic systems, poor plumbing, wet basements, mold and mildew, and safety hazards will be noted. It’s certainly unrealistic to expect every little thing to be uncovered during the home inspection, but the right inspector will cover all major mechanical systems, structural integrity, cosmetic features and other aspects of the house. The final report will explain, in detail, what repairs need to be done. This report will include photos as visual evidence. This makes it easier to see the severity of the damage and can help when estimating the cost of repairs. Much like the home buying/selling process, the home inspecting process has numerous steps and takes some planning. Make sure you have the right people backing your investment up. Your forever home depends on it!